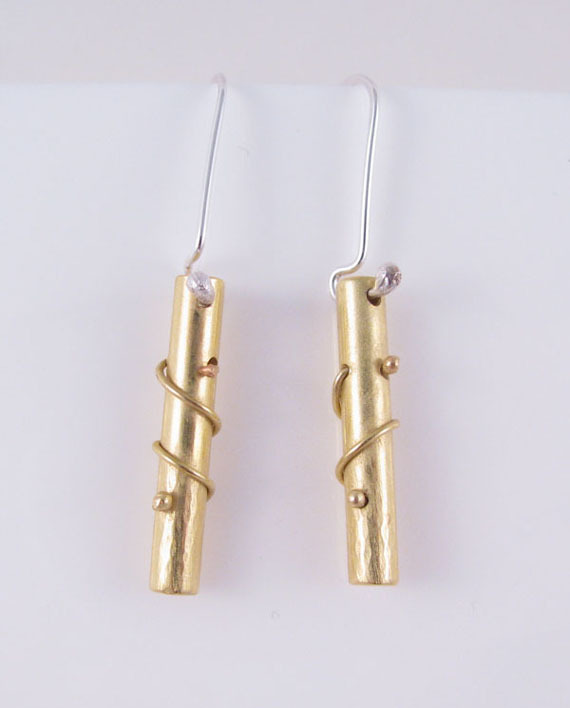 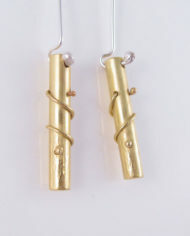 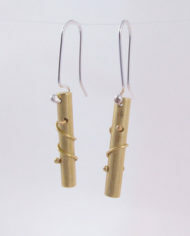 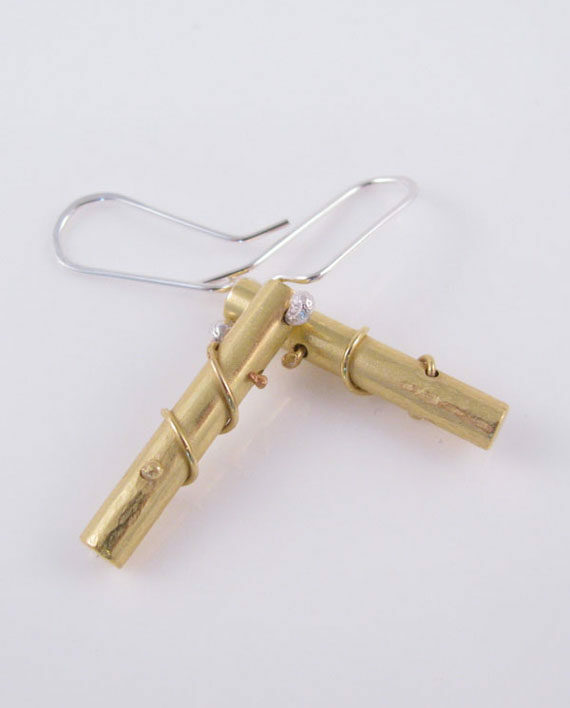 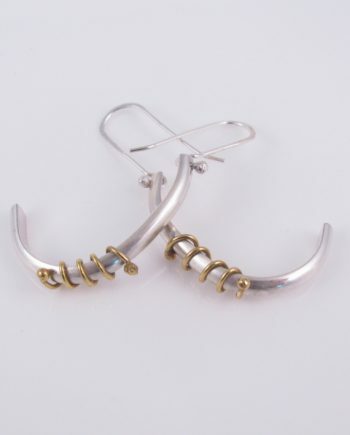 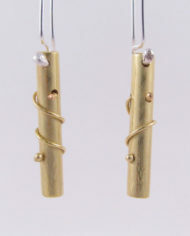 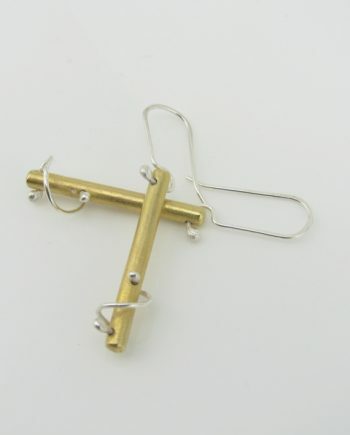 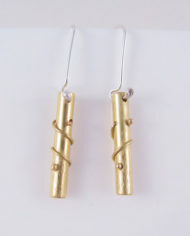 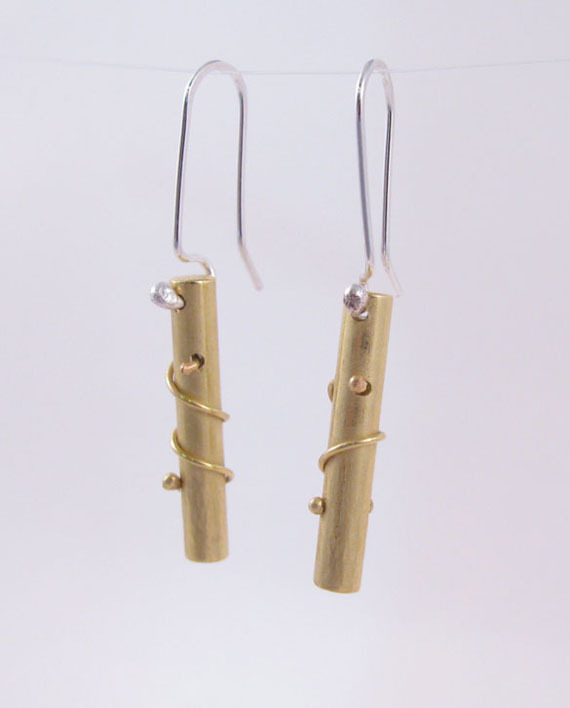 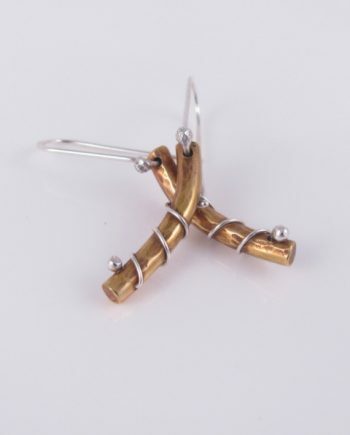 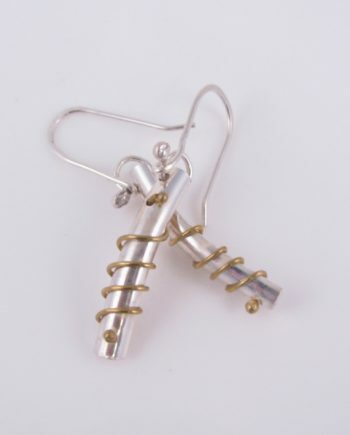 These earrings are forged brass columns with a “coil” wraparound of brass in a fine spiral. 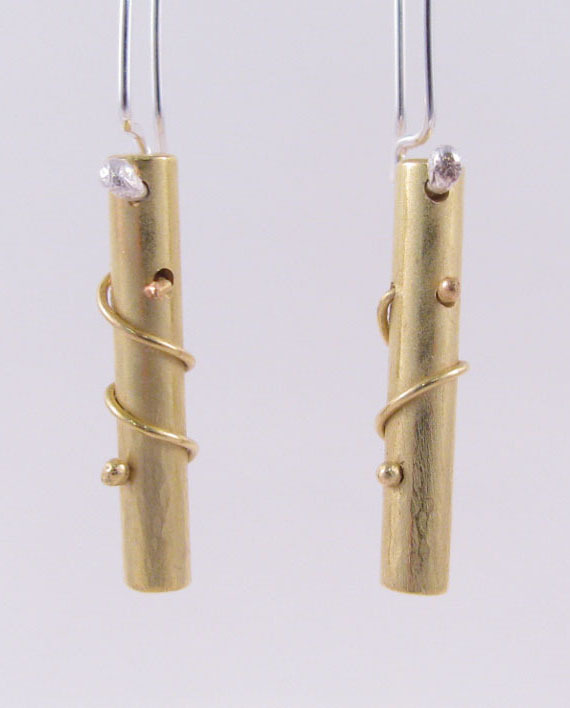 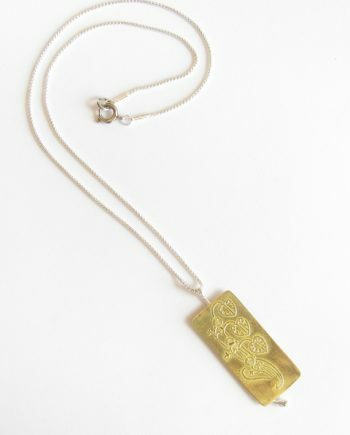 There’s a bit of hammered texture to the ends, and the rest of the brass has a soft brushed satin finish. 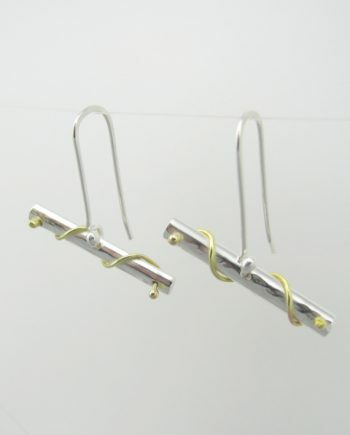 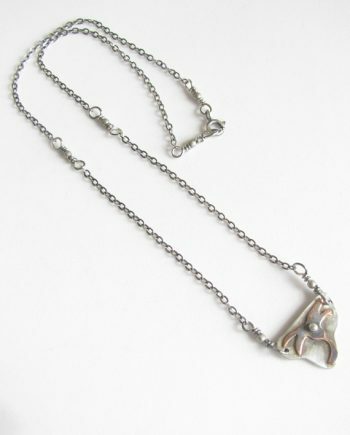 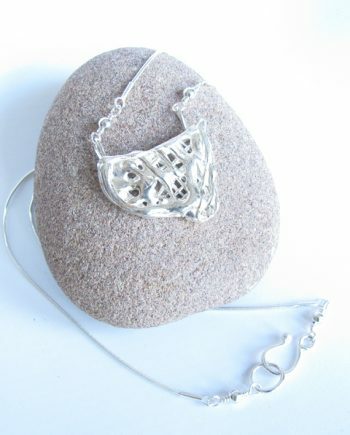 The ear wires are made of sterling silver, mixing a bit of metal in the minimalist style, lightweight earrings! 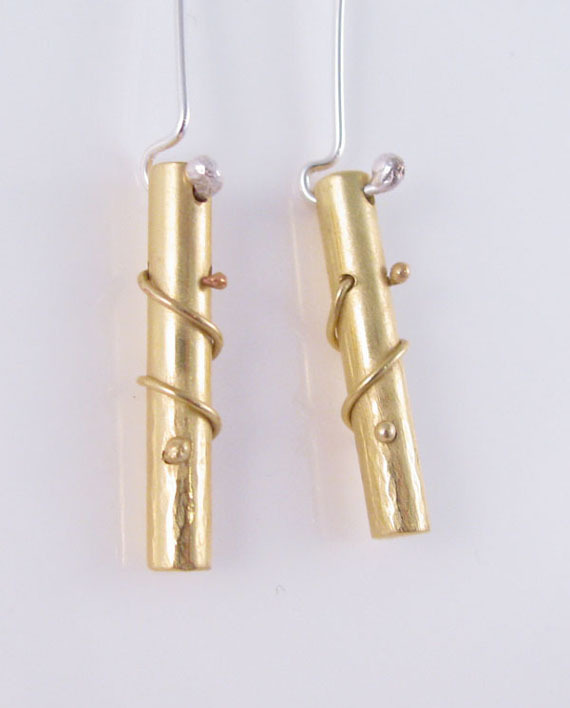 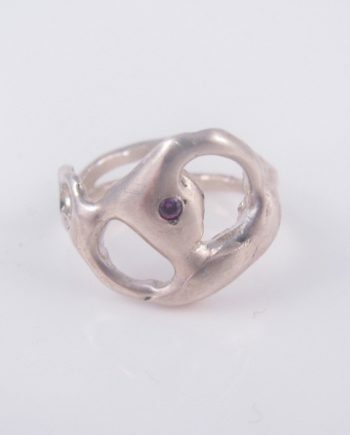 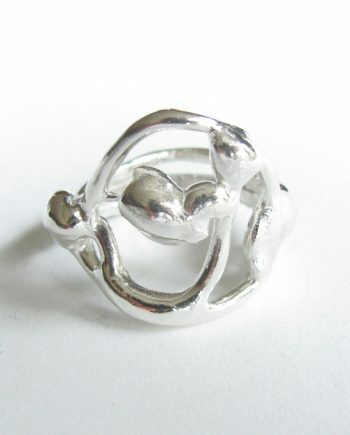 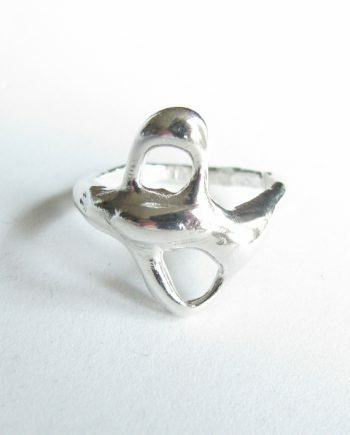 – Dimensions of earrings: approximately 1 3/4″ long x 1/8″ wide.